Well, what are you waiting for? 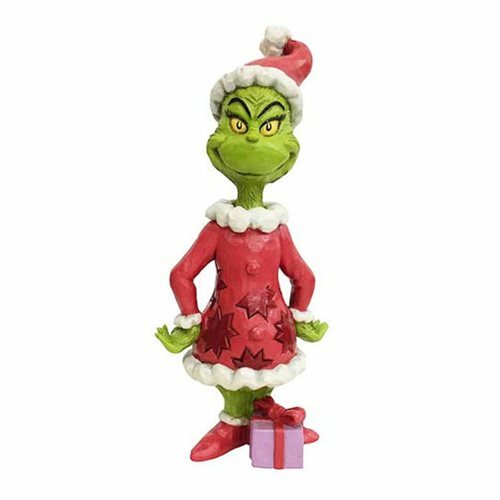 The Grinch seems to be inviting you to buy this Dr. Seuss The Grinch Grinch with Hands on Hips Statue by Jim Shore post haste. After all, he does have a present for you. Based on How the Grinch Stole Christmas!, he's made of stone resin and stands about 6 3/10-inches tall.